Taking in beautiful scenery can be a great way to spend a holiday in Japan, but museums offer deeper and often enlightening cultural insights not found anywhere else. Travel website Trip Advisor has compiled a list of Japan's most popular museums in 2017 so, without further adieu, here are the Top 10. 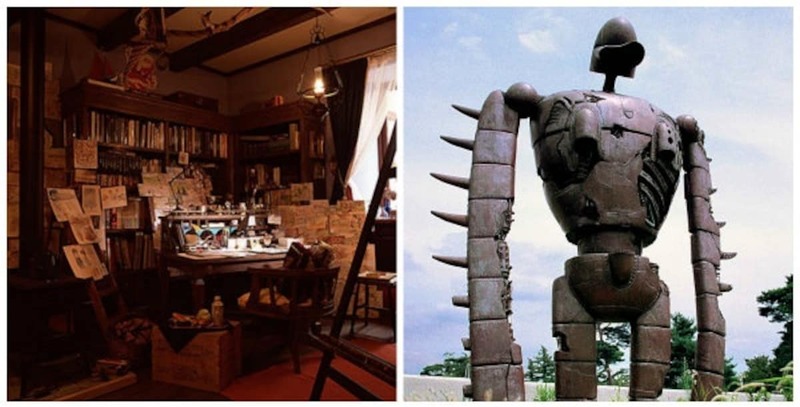 Ghibli fans are sure to delight at this museum where you can learn all about what goes into making a Ghibli film. You can even watch short Ghibli films you can't find anywhere else except for at the museum! With a big smiling Totoro to greet you at the gate, to the five-meter (16.4-foot) tall Robot Solider from Laputa in the Sky, you're sure to find your favorite character here. If gigantic monuments and dinosaurs are your thing, perhaps a visit to the Kitakyushu Museum of Natural History and Human History is in order. Filled with ancient relics and artifacts from ages past, the museum also houses two colossal Tyrannosaurus skeletons that’ll awe even the most well-traveled tourists. What were once all-girls high schools, the Female Division of the Okinawa Normal School and the Okinawa First Girls' High School were mobilized to aid the Japanese forces in the Battle of Okinawa. Of the 240 students and teachers who were mobilized for the war effort, 136 of them lost their lives. The exhibits show how just how cruel war can be and how the Japanese government robbed the youth of their innocence. Another notable entry is the Hiroshi Senju Museum, an art museum boasting sleek architectural design that showcases numerous paintings. The beautiful coral reef garden, calm atmosphere, and curved walls combine seamlessly, making the museum an art piece in itself. While now a giant car manufacturing company, Toyota—or as it was known back in the day, Toyoda—had humble beginnings as a loom manufacturer. In fact, Sakichi Toyoda created the world's first circular loom which was quieter and could weave extremely broad pieces of cloth. This circular loom, as well as an automobile pavilion, are the main attractions to this museum. The Demonstration of Metal Working Technologies reopens on December 28, 2017. For more Top 10 museums in Japan, be sure to click on the full story from RocketNews 24.